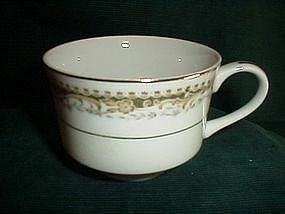 Bottom of cup reads Signature Collection Select Fine China Japan Queen Anne. Tan and green scroll design with gold striping around the rim and under the design. Perfect condition.